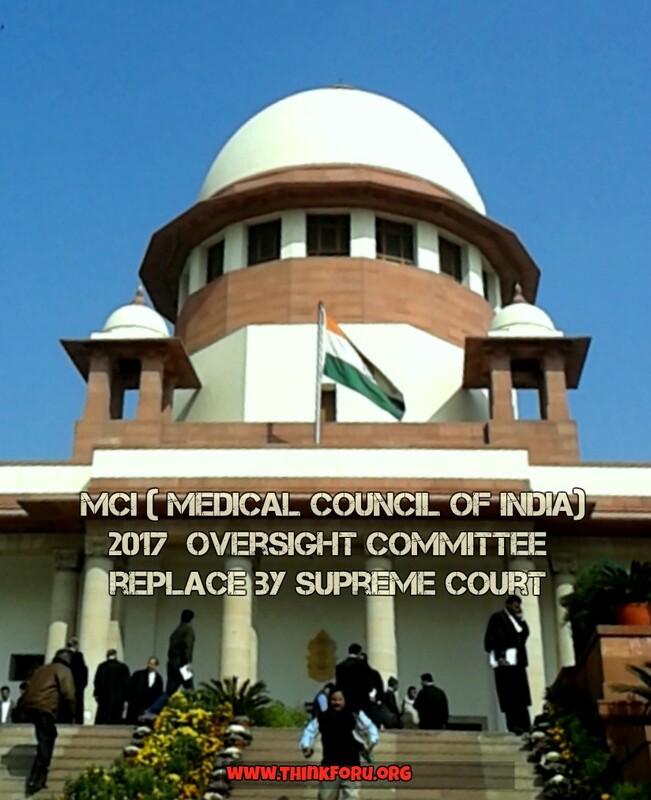 The Supreme Court today allowed the Centre to replace the oversight committee set up to supervise the functioning of the Medical Council of India (MCI) with a fresh panel of five eminent doctors. A five-judge Constitution bench, headed by Chief Justice J S Khehar, said the Centre had proposed the names of five eminent doctors to replace the oversight committee whose term had just expired. "The doctors proposed are all outstanding people. We are satisfied with the names," the bench, also comprising Justices J Chelameswar, R K Agrawal, D Y Chandrachud and S Abdul Nazeer, said. It also gave the Centre liberty to replace any doctor in the list with another if he does not wish to be a part of the oversight committee. The bench had yesterday asked the Centre to constitute a panel which would replace the oversight committee set up last year by the apex court to oversee the MCI's functioning till the government put in place an alternate mechanism. The committee, set up by the court on May 2 last year, was to function for a period of one year or till a suitable mechanism was brought in by the Centre to substitute it. During the hearing, senior lawyer Kapil Sibal, appearing for some medical colleges, had told the bench that till date, no alternative mechanism had been put in place by the Centre despite the fact that the oversight panel was to function for only one year or till a suitable mechanism was evolved. He had argued that the MCI was bound by directions of the oversight committee but the council was not adhering to them. Senior advocate Mukul Rohatgi, appearing for the Hamdard Institute of Medical Sciences and Research, had said the tenure of the oversight committee should be extended by one more year or until the time the Centre comes out with a mechanism to deal with the issues relating to the MCI's functioning. The apex court had on July 13 agreed to set up a five- judge constitution bench to deal with the matter after Rohatgi had said it was an urgent matter as counseling for admissions in MBBS and BDS was underway.